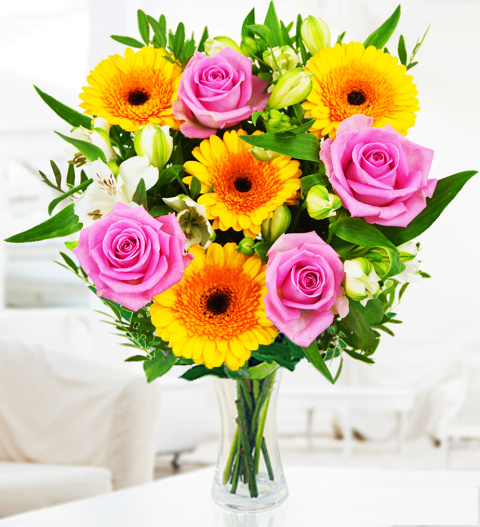 Spread the joy with this fine bouquet of Germinis, Alstroemeria, Chrysanthemums, and Pink Roses. Finished off with the finest foliage to compliment the contrasting colours and textures of this lovely bouquet. Available for next day delivery in Spain, this bunch of flowers makes a great gift for any occasion and any lucky loved one!